Slimes are often the weakest monsters, but now it is time to make them the strongest army! 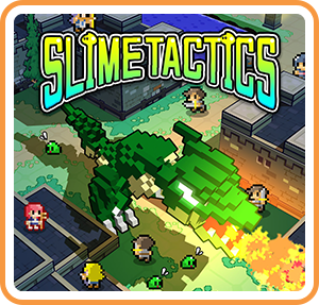 Slime Tactics is a game of real time strategy battles with a difference, as you lead these weakest of units to glory! There are various types to master, all with their own unique skills and characteristics. With smart strategy you can conquer the most deadly of enemies! Take on numerous colourful and imaginative stages as the leader of these Slime forces. It’s time for Slime Tactics!